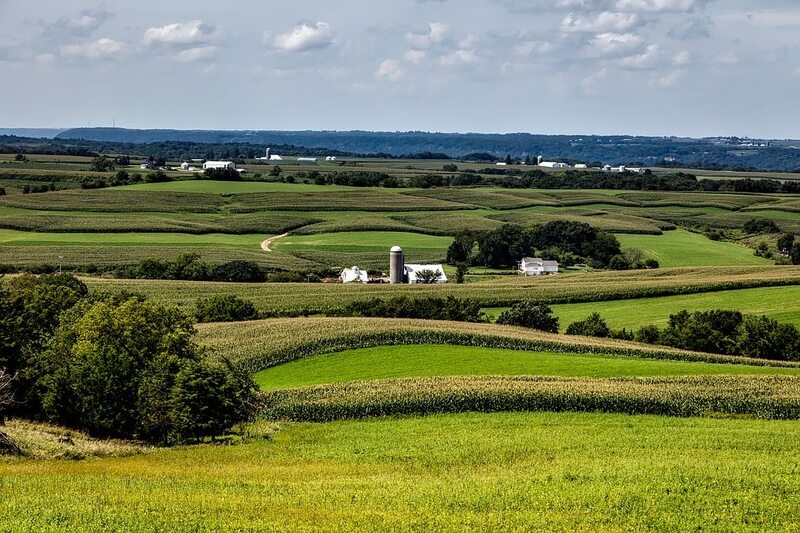 New Entry Sustainable Farming Project & the Conservation Law Foundation are teaming up to hold a workshop that will provide an overview of key employment issues that farmers need to know. The workshop will be presented by Mary O’Neal, Partner at Conn Kavanaugh, and employment law expert. 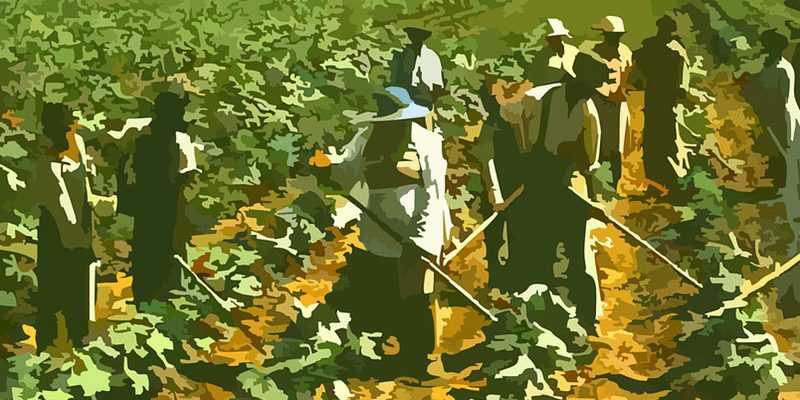 From apprenticeships to agricultural minimum wage, the workshop will cover key topics that come up on the farm and provide attendees with an agricultural employment law handbook. It will also include case studies that provide an opportunity to apply the topics to real situations. The workshop will take place on Tuesday December 12, 2017 at 4:00 PM at the University of Massachusetts in Dartmouth. It is free to attend, however please make sure that you register in advance HERE. The seedcorn maggot is the larvae of a fly, says Eric Sideman, MOFGA’s organic crop specialist, in the fall issue of The Maine Organic Farmer & Gardener. He continues: This critter spends the winter as a pupa in the soil. Flies emerge very early in the spring from these pupae and lay eggs near decaying organic matter and germinating seeds. The eggs hatch into maggots that feed on the seeds or young plants. 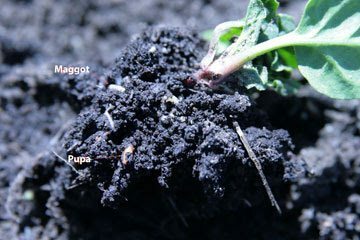 Gaps in rows of crops such as onions, spinach, corn, peas, etc., often blamed on poor seed, actually result more often from seedcorn maggot feeding. The fly is often attracted to decaying organic matter, including some fertilizers that organic farmers use, such as soybean meal. In such cases the maggots end up feeding on the seeds and seedlings. “We live and die by chemical agriculture”. In the age of rampant use of chemicals such as the dreaded dicamba, truer words have perhaps never been spoken. Zachary Michael Jack, Iowa View contributor recently writes in the Des Moines Register about stark contrast between pesticide and herbicide spraying in the 80’s during his childhood versus the situation today. In times past, farmers applied chemicals to their crops when the winds was calm, and neighbours knew even then to bring their children inside away lest they be exposed to these toxic clouds. As formerly rural populations have become increasingly urbanised, chemical hungry crops have become the dominant life-form and rural human populations are suffering from higher mortality levels as a result. Jack goes as far as describing those relocating to urban and suburban areas as rural refugees. And yet he does not call for these farmers, generally good, down to earth people, to cease their spraying, but rather makes a poignant plea that they reinstate the golden rule honor code out of concern not for himself, but for the rural children who have no choice but to breathe this chemical laden air. Click HERE to read the full article on the Des Moines Register. The Common Friars are men and women, married and single, lay and ordained, of an emerging monastic order in the Episcopal Church, seeking to understand and live out what it means to be a Christian disciple today. They do this by placing the utmost importance on being connected to the land, to each other, and to those on the margins of society. Their land that they steward and are connected to is the Good Earth Farm located in Athens. Ohio. They live and work together here and and contribute their individual talents and gifts to one another and to the broader community. Their actions are guided by the “Rule of Life” which is defined by poverty, joy and hospitality, prayer, work, the eucharist and meals and you can visit them in Ohio if you’re in the area! 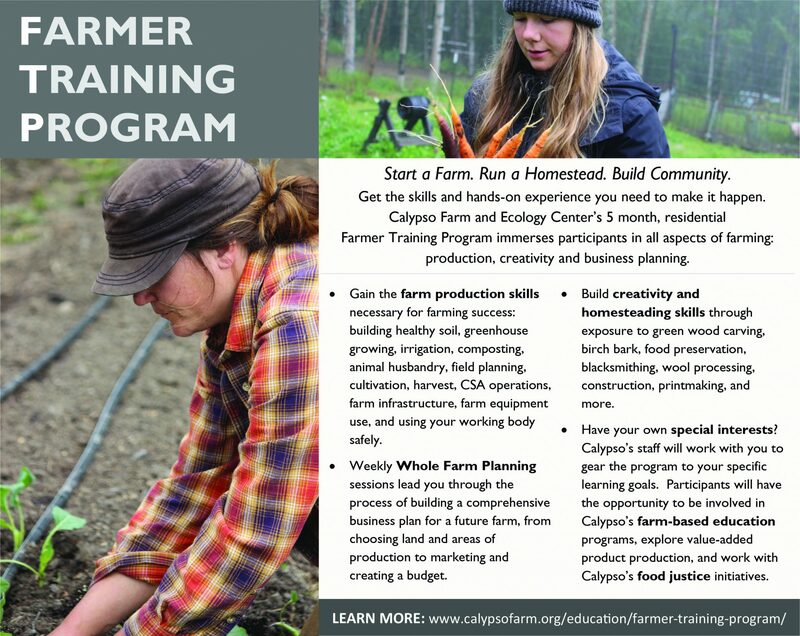 Leave a Comment on applications for calypso farm & ecology center’s 2018 farmer training program are now open! Ortensi Farm Day is part of HMI’s Open Gate Learning Series. Open Gates are peer-to-peer action-based learning days with short presentations and small group exercises geared for participants to share discoveries and management techniques with guidance from experienced facilitators and producers. Holistic Management works with nature, not against it. The day will include discussions about planet and animal-friendly management techniques that lead to richer soil, improved water containment, nutrient-dense food, more successful farms and ranches, and thriving communities. Register HERE before November 3rd to take part in this on-the-ground learning day, connect with others who care about a healthy food system and help strengthen your local communities. check out this amazing workshop on managing cattle, soil health, and local food economies in colorado. This workshop takes place on October 18th – 19th at Adams State University. 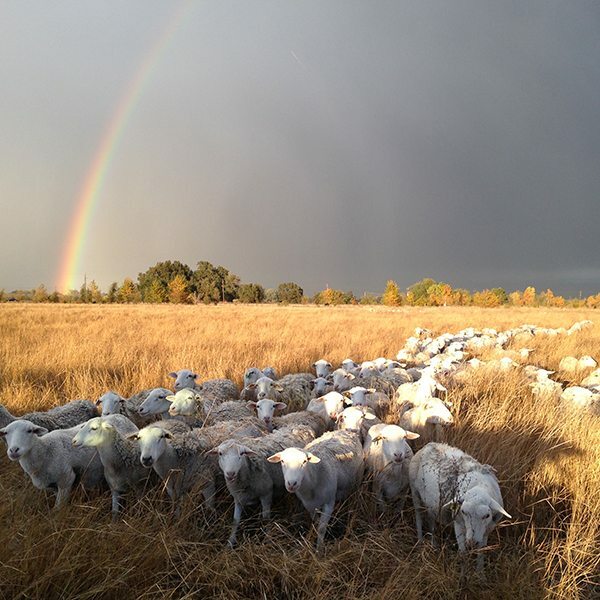 It is led by Dr. Allen Williams, a champion of the grass-fed beef industry as well as cutting edge grazing methodology. Dr. Williams helps restore natural soil water retention and reduce runoff, increase land productivity, enhance plant and wildlife biodiversity, and produce healthier food. In fact, he developed many of the original grass-fed protocols and technologies now adopted by the grass-fed sector. 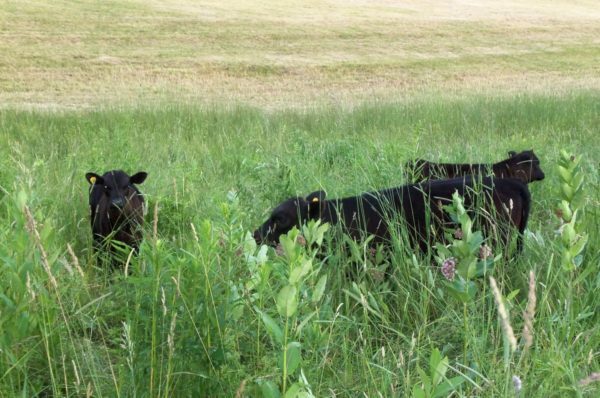 This workshop focuses on the connection between cattle management and healthy soils as part of the local food economy. The Field Day on the second day focuses on details important to local cattle producers in managing and assessing their operations, maximizing quality, and ensuring soil and human health. 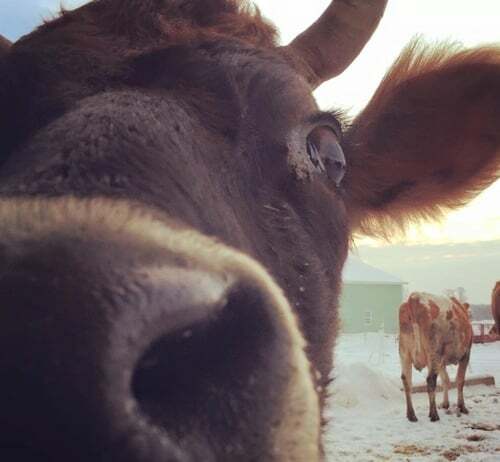 Leave a Comment on check out this amazing workshop on managing cattle, soil health, and local food economies in colorado. The Livestock Conservancy are holding their annual conference in Williamsburg VA from November 9th-12th 2017. The Livestock Conservancy, is a national nonprofit which plays an important role in educating the public about heritage livestock breeds on both a national and international scale. Speakers include Deborah Niemann-Boehle, a heritage breed farmer and author of three books on sustainable living, Kathy Donovan who produces award winning heritage wool from her flock of Karakul sheep, and Steve Edwards of Gwaltney Frontier Farm, Inc , a non profit breed conservation program in VA. There are full-day and pre-conference clinics which cover a vast array of topics, from heritage breed selection to social media marketing and everything in between. Grass Based Cattle Geese – What Makes Them Special | Managing Poultry Health Before Problems Happen | Dutch Belted Cattle | Maternal Breed Selection | Gardening with Chickens | Strategies to Protect Your Favorite Breed for the Future | The Shocking Truth About Electric Fences | Small Ruminant Health and Biosecurity | Selecting the Correct Forage for your Ruminate | Value-Added Meat Goat Production…and more! The conference has much to offer greenhorns. If you would like your rare breed meat to be featured, the Livestock Conservancy encourages you to send business cards and flyers to Angelique (athompson@livestockconservancy.org). These can be shared with attendees during the kick-off banquet on Friday night. Your name and contact information will also be included in the conference packets that all attendees receive at check-in. There are also a number of volunteer opportunities available.